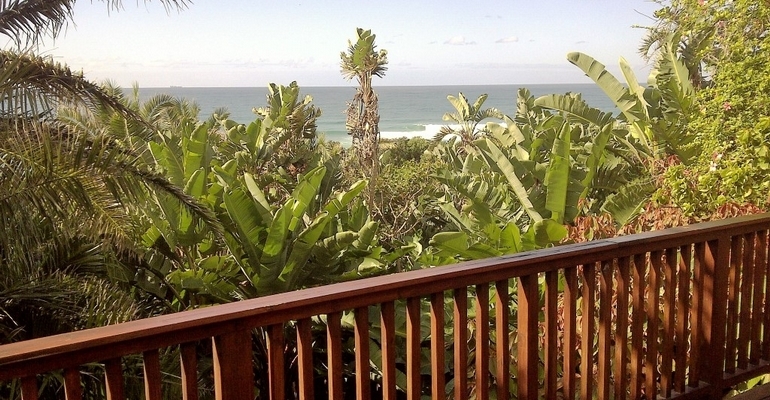 We have two lovely self catering holiday units on a large property in Elysium on the KZN South Coast. The property is surrounded by lush vegetation giving it a tropical feel, as well as privacy. Both our units have lovely sea and breaker views from the balcony's, and we have direct access to the beach, which is a pleasant 40m walk through the lush vegetation. The Main Unit is a large 5 bedroom stand-alone house. It is a double storey building and is ideally suited to large groups of up to 12 adults. Secure Property with Alarm System. Double Lock-Up Garage, with additional shaded parking. R1500 per night in season, with reduced rates out of season. R500 per night in season, with reduced rates out of season.